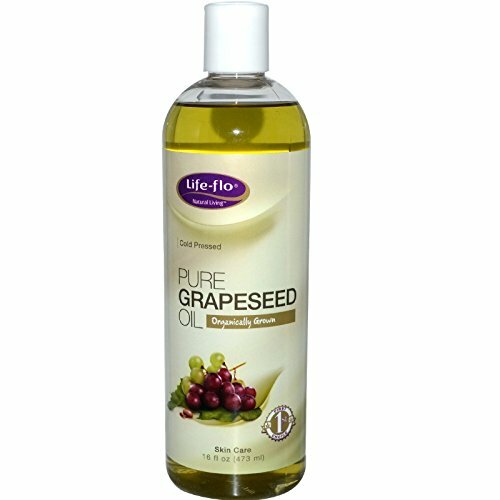 Pure Grapeseed Oil is truly a versatile oil with numerous benefits from culinary to cosmetics. It's rich in essential fatty acids including Linoleic, Oleic, Stearic, Palmitic, Myristic and Lauric, is esteemed for its emollient properties and is suitable for all skin types. A light oil that helps nourish, tighten and tone the skin without clogging pores or causing breakouts. Cold pressed and food grade. Free Of Animal testing. Disclaimer These statements have not been evaluated by the FDA. These products are not intended to diagnose, treat, cure, or prevent any disease. If you have any questions about this product by Life Flo Health, contact us by completing and submitting the form below. If you are looking for a specif part number, please include it with your message.